Annabelle, Posey and Raven are three kittens who came from a hoarding situation where a lady was trying her best to help but just couldn’t manage. 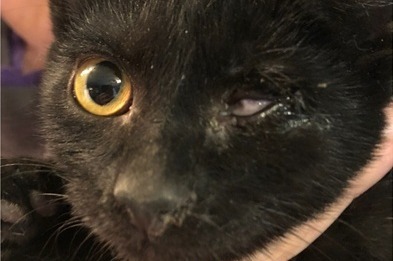 The kittens were being kept in a crate that was covered with plastic, which kept moisture from escaping and caused mold and mildew – and eye infections in these sisters who were rescued, along with 12 other cats, by North Georgia Animal Alliance. The girls all need surgery, which will cost around $6000, including medications and after-care. They are beautiful little furbabies and love to play and be held. They’re in one of our foster homes and loving all the attention they’re getting, but they need their surgery before going to forever homes. Can you help? And can you share this with friends? We deeply appreciate whatever help you can give! Thank you from the bottom of our hearts!! Hey Everyone, Thank you so much for helping!! 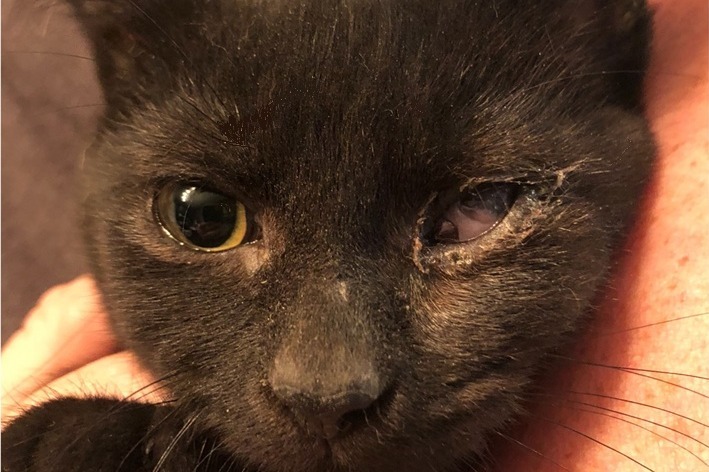 We've decided to scale down what we're trying to raise for now since one kitten is responding well to the eye medications and we may try it with the others. One will still need more advanced care, but we're going with the least intrusive and least expensive options for now. 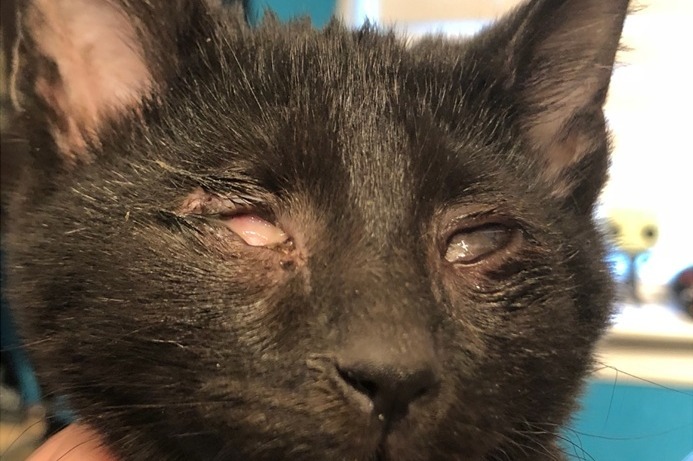 The amount we're aiming for now ($1500) will help cover medications and vet visits until we have a verdict on the effectiveness of what we're currently doing. In the meantime, the girls are happy and loved. Thank you so much!! How the kittens are doing: We're using Raven as a guinea pig right now. She's on four medications (two oral and two eye medications) at the moment. We feel like the eye drops are doing the most for her. The fog in her eye is clearing up and more of the pupil is showing. If this works, we're going to try it on all of them. However, Posey will need to see the specialist since she has the most serious problem (she has the sunken eyes). All the girls are improving in their ability to trust their foster mom, who says Annabelle actually enjoyed snuggling the other night and even purred! Thank you again to everyone who has helped! We still need more help with the cost of medicine and Posey's day with the specialist will come upon us soon. 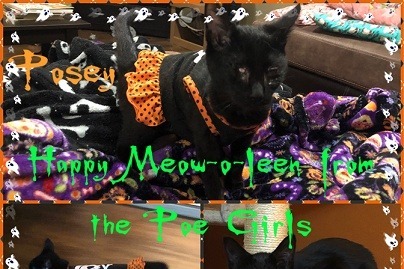 Here's a picture of the girls dressed for Halloween (a tradition of their foster mom). You can see how timid Annabelle is and why it's taken so long to win her over. One thing all of them have is a LOT of love!! Update: We've raised enough to take the girls to a vet eye specialist for an evaluation! As soon as we find out what the next step is, we'll let everyone know. Thank you so much to those who have donated so far!!! The girls are really coming out of themselves and learning to trust people more. They got such a rough start in life, but love can heal a lot. North Georgia Animal Alliance Inc.